Streamlined procedures and standardized practices result from a balanced development process that aims at flawless solution at each level. Magento Provider makes that possible quite impressively! Magento evolves from multifaceted online business requirements that exist today. Magento Provider employs dynamic methods to implement the entire system of development to which the Magento technology is an intrinsic part of. We have followed development processes and methods to help us accomplish numerous projects with clinical improvisations and modern experiments to make it work in modern business space. With our familiarity of working with a numerous business organizations and industry verticals helping several projects get solutions ranging from common e-commerce websites to multifarious enterprise-level solutions, we have gained steady force to develop advanced Magento web solutions with our development methodology that helps us to stay regimented and focused. This assists us to accomplish each project meticulously and maintain a sharp vision for next things lined-up. We have grown inch-by-inch with our command in the technology that is where we gather fuel from for our unwavering approach in development process. The first step is to recognize the exact requirements of the clients carefully. 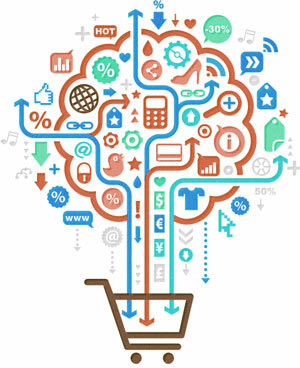 We understand the need of conversation that an online store development requires. Our executive team or our project supervisor will cautiously identify and converse about your requirements before the beginning of the project. When we sense that thoughts matched, we will pull in for the essential project details to start on execution of the project. At this moment, we will recommend an appropriate business representation and decide upon the costs and the time-frame. In research phase, we focus on the functional specifications and the structural design of the Magento project. For the development, we will utilize tools provided by the customers such as designing plan, database, images etc. This phase engages the study of the technical details compulsory for the project development and homework of technical schemes. Development phase involves developing a sample of the Magento solution, which we pass on to the customer for response. The customer then provides the appropriate feedback, which we include into our development procedure. The development procedure isn't solitary process, but many procedures runs jointly. At the finish line of the development stage, we put together the modules and upload as a demonstration for the client's evaluation. Meanwhile, we communicate regularly with the client to update on each facet of the development. When we are done with the development, our technical experts examine and evaluate the solution on diverse aspects. Throughout this testing phase, we use numerous refined quality assurance methods to identify any limitations and bugs and generate authentic and reliable eCommerce results suiting exact website dynamics. We follow well-laid standards and techniques to evaluate the final website product from a complete eCommerce perspective for effective product display, payment processing, CMS performance and many more facets that Magento solution is known for. We document each procedure in the testing phase in order to provide you robust and unfailing application that can match exactly with your requirements.